Car mods are all rage among racing and off-roading enthusiasts. In addition to upgrading a car’s capabilities, the aesthetics can also be enhanced. Before making any modifications to a vehicle, you need to ensure the changes are legally permissible. To help you stay clear of the law, we present a list of five car modifications that are considered illegal in most states in the US. Take a look. The extra fluorescence may give your car the “street racing car” look from the 90s, but it is important to remember that particular types of spotlights are banned in many parts of the US. Blue and red lights, for instance, are illegal in most jurisdictions. The rule is in place so that citizens do not confuse regular vehicles with law enforcement and emergency service vehicles. Loud exhausts can be a source of distress for other drivers and pedestrians. If you are planning to replace the stock exhaust system, make sure the noise level of the replacement falls within the range permissible in your city. Every state has a different decibel limit. Kansas state, for instance, requires that the muffler of a car should not produce more than 90 decibels when measured from a distance of 50 feet. Tinted windows may look cool and all, but most states have laws against too dark tints. The permissible tint percentage may vary from state to state. For instance, Colorado state laws allow windshield tints with at least 70% light transmission and a minimum of 27% light transmittance on the tints on driver’s side windows. In Alaska side windows must have 70% light transmittance, and rear windows must have 40% light transmittance. If you are planning to install a radar detector in your vehicle, think again. All radar detectors are banned in all vehicles in the state of Virginia and the District of Columbia, Washington D.C. Radar Detectors are also banned in big trucks in the states of New York and Illinois. Under federal law, the use of radar or laser speed detectors is illegal in all commercial vehicles over 10,000 pounds. Planning to Modify Your Vehicle? 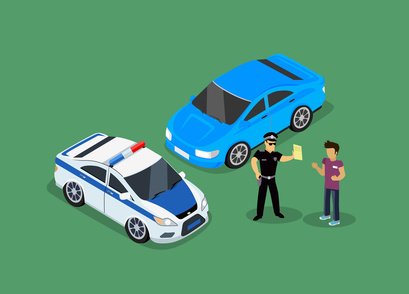 Before making any modifications to your car, go over the list in this blog to ensure the modification you make doesn’t get a you ticket. If you are planning to buy a car and modify it according to your needs, you can easily get a perfect model at AutoBidMaster.com. We are an online platform dedicated to auto auctions, featuring an extensive array of options. To participate in our auto auctions, simply register and start bidding. To learn more about our policies or the vehicles listed with us, fill out our contact form or call +1 (503) 298-4300.